The main objective of this report is to highlight on the major documents used by BASIC Bank Limited. While dealings with foreign exchange banking. Other objectives are to appraise export, import and remittance of the same bank. Finally identify problems of foreign exchange banking and suggest suggestions for improvement of foreign banking of the given bank. Lending to the NGOs who on-lend to their members. At present there are 15 such NGOs. Lending direct to the targets groups or ultimate borrowers under the Bank’s own management. Lending direct to the member-borrowers and NGOs providing nonfinancial services like group formation and monitoring and supervision on exchange for a supervision fee. Bangladesh Bank issues Authorized Dealer (AD) license by observing the bank’s performance and also the customers associated with the bank for conducting foreign dealings. Bangladesh exports a large quantity of goods and services to foreign households. Readymade textile garments (both knitted and woven), Jute, Jute-made products, frozen shrimps, tea are the main goods that Bangladeshi exporters exports to foreign countries. Garments sector is the largest sector that exports the lion share of the country’s export. Bangladesh exports most of its readymade garments products to U.S.A and European Community (EC) countries. Bangladesh exports about 40% of its readymade garments products to U.S.A. Most of the exporters of BASIC Bank are readymade garment exporters. They open export L/Cs here to export their goods, which they open against the import L/Cs opened by their foreign importers. Bank deals with documents not with goods. The bankers are to ascertain that the documents are strictly as per terms of L/C. Before negotiation of the export Bill the bankers are to scrutinize and examine each and every document’s with care. Negligence on the part of the bankers may result in non repatriation or delay in realization of export proceeds as incorrect documents may put the importers abroad into unnecessary troubles. The scrutiny of the Bill of Exchange (Draft) and other related documents should ensure that. The documents are presented for negotiation before the expiry of the relative credit. The amount does not exceed the amount available under the credit. All the documents stipulated in the L/C are submitted. The corrections and alteration are properly authenticated in all documents. Exporter submitted documents before expiry date of the credit. Particular verification: Each and every document should be verified with the L/C. Cross verification: Verified one documents to another. While checking the export documents following things must be taken in consideration. That the documents are negotiated within the L/C validity, It a credit expire on a recognized bank holiday its life is automatically become valid upto the next works day. That the documents value does not exceeds the L/C value. It must be made out in the name of the beneficiary’s bank or to be endorsed to the bank. The negotiating bank must verify the signature of the drawer. Amount must be tallied with the Invoice amount. It must be marked as drawn under L/C No. dated issued by ……….. Bank. After shipment, exporter submits the following documents to BASIC Bank for negotiation. Imports are foreign goods and services purchased by consumers, firms & Governments in Bangladesh. To import, a person should be competent to be a ‘importer’. According to Import and Export Control Act, 1950, the Office of Chief Controller of Import and Export provides the registration (IRC) to the importer. By paying specified registration fees and submitting necessary papers to the CCI&E. the trader will get IRC (Import Registration Certificate).After obtaining IRC, the person is eligible to import. Now the importer has to contact with the seller outside the country to obtain the proforma invoice / indent which describes goods. Then the importer collects a Letter of Credit Authorization (LCA) form from BASIC Bank UTTARA Branch. In international environment, buyers and sellers are often unknown to each other. So seller always seek guarantee for the payment for his goods exported. Here is the role of bank. Bank gives export guarantee that it will pay for the goods on behalf of the buyer. This guarantee is called Letter of Credit. Thus the contract between importer and exporter is given a legal shape by the banker by its ‘Letter of Credit’. Importer – Seller who applies for opening an L/C. Issuing Bank – It is the bank which opens/issues a L/C on behalf of the importer. Confirming Bank – It is the bank, which adds its confirmation to the credit and it, is done at the request of issuing bank. Confirming bank may or may not be advising bank. Advising / Notifying Bank – is the bank through which the L/C is advised to the exporters. This bank is actually situated in exporter’s country. It may also assume the role of confirming and / or negotiating bank depending upon the condition of the credit. Negotiating Bank – is the bank, which negotiates the bill and pays the amount of the beneficiary. The advising bank and the negotiating bank may or may not be the same. Sometimes it can also be confirming bank. Paying / Accepting Bank – is the bank on which the bill will be drawn (as per condition of the credit). Usually it is the issuing bank. Reimbursing bank – is the bank, which would reimburse the negotiating bank after getting payment – instructions from issuing bank. Full particulars of bank account maintained with BASIC Bank Ltd. Uttara branch. After getting the proforma invoice importer applies to the bank to open a letter of credit on behalf of him with required papers. Documentary Credit Application Form: BASIC Bank provides a printed form for opening of L/C to the importer. This form is known as Credit Application form. A special adhesive stamp is affixed on the form. While opening, the stamp is cancelled. Usually the importer expresses his desire to open the L/C quoting the amount of margin in percentage. Proforma Invoice: It states description of the goods including quantity, unit price etc. The insurance cover note: The name of issuing company and the insurance number are to be mentioned on it. The Letter of credit authorization (LCA) form: LCA form should be duly attested. Forwarding for Pre-Shipment Inspection (PSI): Importer sends forwarding letter to exporter for Pre-Shipment Inspection. But all types of goods do not require PSI. The terms and conditions of the L/C must be complied with UCPDC 600 and Exchange Control & Import Trade Regulation. One of the basic principles of documentary credit is that all parties deal with document and not with goods (Articles 6 of UCPDC-600). That is why the documents should be scrutinized properly. If any discrepancy in the documents is found, that is to be informed to the party. A checklist may be followed for examining the documents. Amount of B/E differ with Invoice. Tenor of B/E not identical with L/C. Shipping Mark differs with B/L & Packing List. Gross Wt., Net Wt. & Measurement, Number of Cartoons/Packages differ with B/L. Not market one fold as Original. Shipping marks differ with B/L. Full set of B/L not submitted. B/L is not drawn or endorsed to the Order of Prime Bank Ltd.
“Shipped on Board”, “Freight Prepaid” or “Freight Collect” etc. notations are not marked on the B/L. B/L not indicate the name and the capacity of the party i.e. carrier or master, on whose behalf the agent is signing the B/L. Shipped on Board Notation not showing name of Pre-carriage vessel/intended vessel. Shipped on Board Notation not showing port of loading and vessel name ( In case B/L indicates a place of receipt or taking in charge different from the port of loading). B/L bearing clauses or notations expressly declaring defective condition of the goods and/or the packages. N.N. Documents not forwarded to buyers or forwarded beyond L/C terms. Inadequate number of Invoice, Packing List, B/L & Others submitted. The full description of merchandise must be given in the invoice strictly as per L/C. The price, quality, quantity, etc. must be as per L/C. The Invoice must be language in the language of L/C. No other charges are permissible in the Invoice beyond the stipulation on the L/C. If L/C calls for consular invoice, then the beneficiary’s invoice is not sufficient. Number of Invoice will be submitted as per L/C. The shipping mark and number of packing list shown in the B/L must be identical with those given in the Invoice and other documents. The Invoice value must not be less than the value declared in EXP Forms. Invoice amount must be correct on the basis of price, quantity as per L/C. Invoice amount, indicate sale terms/ Income terms VIZ FOB, CFR, CIF etc. Consular Invoice must be stamped by the local consulate/embassy of the country to which the goods are imported. Beneficiary statement, VISA/Export License issued by EPB, Certificate of Origin, Weight Certificate, Packing List, Inspection Certificate. Certificate of analysis, quality certificate, MCD duly signed and any other documents required by L/C each of these certificates/documents conform to the goods invoice and are relevant to L/C. Negotiating Bank will check the above documents whether it is as per L/C or not. If Negotiating Bank find everything in order or as per export L/C, bank will negotiate the document and will disburse the generated fund as per Banks norms. If the Negotiating Bank will find any discrepancies in the documents. They will send the documents on collection or they can negotiate under reserve by the request of the exporter or they can seek permission/Negotiation authority from issuing Bank to allow Negotiating Bank to negotiate the documents despite the discrepancies. L/C issuing Bank will inform the matter to buyer, if the buyer accept the discrepancies mentioned by Negotiating Bank, issuing bank will authorize the Negotiating bank to negotiate the discrepant documents. Normally negotiating Bank will send the documents on collection basis mainly for the following discrepancies. Consignee Name and address differ between L/C and other documents. The basic function of this department are outward and inward remittance of foreign exchange from one country to another country. In the process of providing this remittance service, it sells and buys foreign currency. The conversion of one currency into another takes place at an agreed rate of exchange, in where the banker quotes, one for buying and another for selling. In such transactions the foreign currencies are like any other commodities offered for sales and purchase, the cost (convention value) being paid by the buyer in home currency, the legal tender. Foreign TT payment & Purchase of F. Drafts, preparations of F.B.P. (Foreign Bill Purchased). Foreign Collection, Bangladesh Bank Clearing Check Collection, which comes from all branch of BASIC Bank Limited. Inward remittance covers purchase of foreign currency in the form of foreign T.T., D.D, T.C. and bills etc. sent from abroad favoring a beneficiary in Bangladesh. Purchase of foreign exchange is to be reported to Exchange control Department of Bangladesh bank on Form-C.
Outward remittance covers sales of foreign currency through issuing foreign T.T. Drafts, Travelers Check etc. as well as sell of foreign exchange under L/C and against import bills retired. Sale of foreign exchange is reported to Exchange control Department of Bangladesh Bank on form T/M. Foreign exchange means foreign currency and includes all deposits, credits and balances payable in foreign currency as well as foreign currency instruments such as Drafts, T.C.s, bill of exchange, and Letters of Credit Payable in any Foreign Currency. All foreign exchange transactions in Bangladesh are subject to exchange control regulation of Bangladesh Bank. To communicate with the Negotiating Bank, Advising Bank. Reimbursing Bank the branch uses SWIFT. As well as these media the Bank could use the E-mail, which is cheaper and faster than those media. 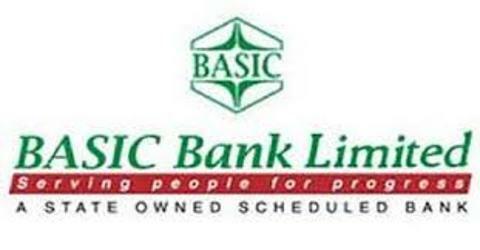 BASIC Bank Ltd. now using software and that is Kastle. It is very dedicated software. It has real time online banking, ATM facilities and E-banking and lot of more. So we think it will be a great progress for the bank.